Do you know that you can buy up to $50,000 of term life insurance from a company that has no height and weight requirement at all? This is just one of the niche companies we can offer you that specialize in life insurance for overweight people or anyone with a weight issue. Life insurance companies can make it hard to get life insurance because of their height and weight guidelines. These guidelines can make it difficult for overweight people to qualify for Preferred Plus, Preferred or even Standard or Regular rates. Being overweight is one of the number one reasons that people who are healthy otherwise don't qualify for better life insurance rates. IMPORTANT: All insurance companies have different height/weight guidelines and applying to the wrong company can cost you thousands of dollars!! Being overweight or obese is determined by something known as your BMI or Body Mass Index. If you want to see what your current BMI is, you can click here. About 1 in 6 children, ages 2 to 19 were considered to have obesity. 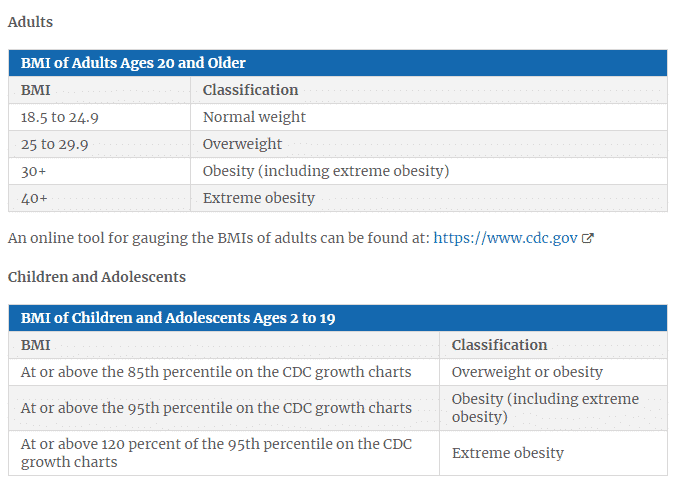 If we look at the numbers above you can easily see that being overweight or obese isn't a rare thing and that most of America is overweight or obese. It really doesn't matter if you’re an overweight male or female. If you've been “rated” or charged a higher rate, or told that you’d be declined for life insurance due to weight, than we’ve got great news for you! There are a number of companies that make much better offers for people who are overweight than the majority of the other competitive insurance companies. These companies allow people who weigh 20 – 30 pounds more (than most other companies would allow) to still qualify for their Standard or Regular rates. The best company for you will depend on your specific height/weight, other medical history and the amount and type of life insurance that you want. Below are some of the heights/weights that can still qualify for Regular or Standard life insurance rates. If you are close to the maximum weight using height/weight chart above then you will need to make sure everything else is in a normal range. Your total cholesterol, HDL cholesterol, blood pressure, blood glucose and/or A1C must be within normal range. You must have had a good stress test, nuclear stress test, or stress echocardiogram that was completed within the previous 12 months. If you’re morbidly obese or if your weight is over the above guidelines, you can still qualify for life insurance. We’ll have to shop for best rates available to you depending on your exact height and weight and other health history. Beware when trying to drop weight just prior to applying for life insurance. 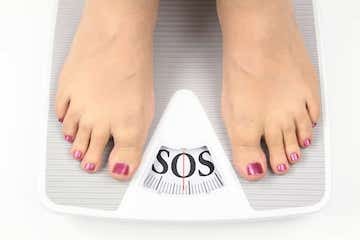 Insurance companies like to see a stable weight for 1 full year, as they know people try to drop weight before applying. Weight gain or loss is a question on all insurance exams and/or on the best “no exam” applications. If you tell the examiner you lost 20 pounds in the past year, the competitive companies will debit you an amount equal to half of the weight that you lost. So they'll consider you to be 10 pounds heavier than you actually are when you apply, and this debiting could put you in next higher rate category. Most of these companies also order your medical records to verify health history, so they can find out about weight loss even if you don't mention it. We don't like this weight loss debiting procedure either, but all of the competitive companies do it. So be honest, but underestimate as much as possible when answering question about weight loss and never admit to losing more than you actually did. Regardless of the weight debiting procedure, it will still be in your best interest to be as light as possible on day you have insurance exam. Keep in mind that we will always negotiate to get you best possible offer, so the absolute lowest you can weigh at time of exam can help us when negotiating. Reduce sugar and carbohydrate intake. Exercise as least 3 times per week, even if you only walk more. If you can follow the above recommendations for a couple weeks or longer prior to having insurance exam, you could be 10 to 20 pounds lighter. Also try to schedule your exam in the morning before eating or drinking anything (besides water)…as most people are at their lightest in the morning. Someone you don’t know, coming to your home and weighing and measuring you. We don’t like exams either, but they are still usually the best way to get lowest rates possible. Companies like American Amicable, American National, Foresters, 5 Star and SBLI can be competitive if you don’t want to have an exam. Just keep in mind that all of these no exam life insurance companies can order medical records prior to making you an offer or if there is a death claim made in first 2 policy years. So if you intend to apply to a "no exam" insurance company, be honest about your actual height/weight at the time you apply. This way, you should have no problem getting approved and so that your beneficiary doesn’t have any problem when filing a death claim. First thing you need to do if you’re denied, is to make sure your case has been shopped to all the top life insurance companies. Most agents, brokers or insurance website’s only offer a limited number of companies, so there could be a company or 2 that may offer you a decent policy. Just because anyone tells you that you won’t qualify, doesn’t mean you really won’t. If you have exhausted ALL options, there are always guaranteed issue products available to most people. Guaranteed issue products are expensive and less than ideal coverage. Most importantly, you can also always re-apply for life insurance as soon as you’ve lost weight. Remember also that you’ll be under NO obligation to keep any life insurance policy for any period of time. You should cancel any old insurance as soon as a better rate/policy is in force. We can often get exceptions on life insurance for overweight people and sometimes get them better rates than the norm when their health checks out as good. If cholesterol levels, blood sugar, blood pressure are good, your overall health is pretty good and you don't smoke, we've been able to get some insurance companies to improve on their initial offer. We always do our best to get any overweight applicant the best rate possible! Contact us toll free at 1-800-380-3533 or just click on the link above to get an accurate quote and we'll email you with accurate quotes so you can determine if you would like to apply. We're not going to call you or hassle you. Or simply click here to email us with your name, date of birth, height/weight, other health issues and your State of residence and we will email you with accurate quotes. Please feel free to contact us by whichever way is most comfortable for you, by phone, email or by simply by clicking the accurate quote link above.